Who are those folks working here? Although ATG Labs operates as an umbrella organization for independent contractors, the owner and full-time resident engineer is Jerome "Jerry" Schneider. Jerry has almost 30 years' experience in the computer industry, as both a hardware and a software engineer. He studied electronics as a youth, and began programming in the formative years of the commercial computer era. At that time, many universities had no combined EE/CS degree, so while at Colorado State University, Jerry had to design his own program, simultaneously studying digital engineering in the EE department and CS in the Math department. Today, Jerry is still applying his crossover skills in EE and CS to the design of successful products with embedded hardware and firmware. He is also skilled in the art of writing device drivers that integrate complex hardware with the internal workings of modern operating systems. Never content with simply maintaining mastery of his existing skills, he stays up-to-date with many technology trends, including Java, object-oriented design, Windows OS internals, and recently XML-based GUIs. His work with many successful startups has also provided insight into the business and product marketing arenas that must accompany any engineering task. His clear and effective communication with executive teams carries the business model and market requirements back into the design process. As important as his work is, Jerry really enjoys listening to and playing live jazz. For recreation, he bicycles, hikes and runs when time permits, and is continually searching for healthy gourmet food. 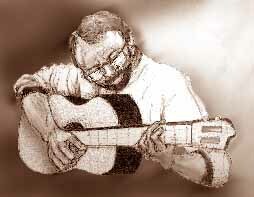 This pastel-dust sketch of Jerry was done by Jackie Dial (his Significant Other). Holding a PhD and two Masters degrees, her company MedicaLink provides biomedical illustration, editing, and writing services. Additionally, she creates Generational Art using her artistic talents; you can browse her Fine Art website at jackiedial.com. At some time in the future, we hope to add links on the Misc. page for intellectually stimulating sites we've found; perhaps a link with streaming audio of an original composition, and maybe even an Editorial page. For now, you'll have to be contented with this overview of Mr. Schneider..